It’s easy to customize SalesNOW to deliver a custom mobile experience for all of your users. Centrally set mobile data access privileges for your users. SalesNOW uses a simple structure to allow administrators to decide what users can see an do within SalesNOW on their mobile device. 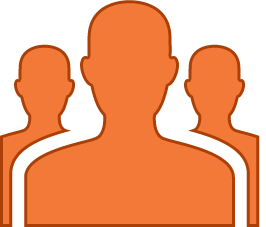 Simply choose a role level for each user and apply the appropriate permissions. 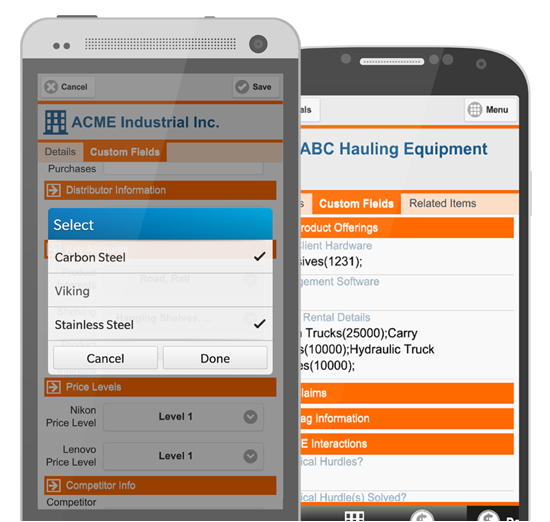 Managers can even be setup to view and edit their team’s data on their mobile phone or tablet. Define custom fields within contact and account records to enable you and your team to enter, find and sort the information most relevant to your business. We offer the flexibility to add as many custom fields as you like. We even let you categorize these custom fields. You have complete control over the data that you want to capture and store in SalesNOW.